The varied wildlife here on the Isle of Skye is certainly abundant within the islands rugged shoreline and up towards the mountain tops. It can be a challenge to live on the edge of what nature can throw at you as regards the everchanging weather, the Atlantic Ocean can bring either havoc or calm to the Hebrides and in recent months has tested many a wild creature and a wildlife photographer like my self. A morning after a storm and washes ashore new interesting stories. The Isle of Skye is the largest and best-known offshore island in the UK, with its mountains and sea combining to create breath-taking scenery. Lochalsh, its nearest geographical neighbour, provides ease of access but sits in the shadow of Skye, in terms of both reputation and weather! 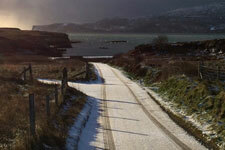 The latter results in a relatively drier climate in the western part of the Lochalsh peninsula. Autumn arrived with a bang! 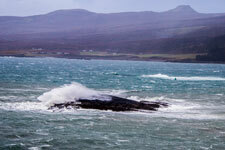 Stormy, blustery, changeable weather. Trees and hedgerows heavily laden with fruit and berries (one of the best harvests in years! ), and autumn colour looking splendid, albeit short-lived as the gales deftly removed leaves from their branches. Now in October we have an amazing plethora of foraged foods we’ve been able to use on our daily-changing menus this month. 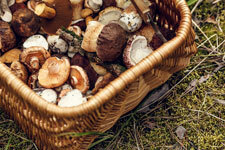 Due to the weather over the Summer, there has been an abundance of delectable mushrooms from behind Kinloch. Delicious chanterelles have been a key feature in many dishes this months; part of a filling for our roast young grouse (more on this in a minute), or simply sautéed with garlic butter and served on our own granary toast as part of our Talisker bar menu. Spring flew by this year and the same seems to be happening with the summer, the cold winter, a wet early spring and then a long heat wave has turned the vegetation and wild flowers on their heads. It was a good year for the butterfly orchids and the recent rain after such a long period without rain has brought out the mushrooms, several weeks early. 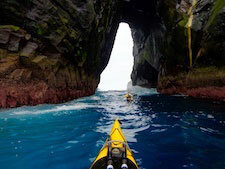 Alison recounts this summer’s tour to the wild beauty of St Kilda with kayaks, enjoying some perfect weather conditions for the expedition, helping to make memories and create a once in a lifetime opportunity for her lucky group of paddlers. She also shares something of the legends of the Minch and its remote islands, The Blue Men and the fate of the St Kildans, forced to evacuate finally in 1930. Marcello takes a moment on an anniversary to reflect on life, he shares his favourite street food snacks, perfect for a summer sporting occasion with family and his thoughts on this World Cup and its rather unexpected outcome. Mitch shares his love of the wild with visitors from all over the world. 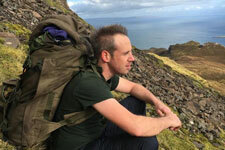 Read how he brings his knowledge of wild nature, foraging, bush craft, fishing and stalking together in his work to share a unique experience of Skye with guests, under his guidance through its spectacular landscapes. 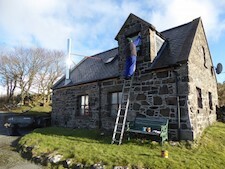 During time out around the south end of the island, Susie shares what she learned on a visit to the Bright Water Centre, about history and geology as well as the story behind writer Gavin Maxwell’s connections to Skye and Lochalsh. And in a bid to find the enigmatic little beasts, she took the road over to Kylerhea to spend some time at the otter hide. Marcello shares his favourites for a Spring menu, his love of Skye’s mercurial weather and his secrets for enticing family and friends to keep making the journey to come and sit at his table. 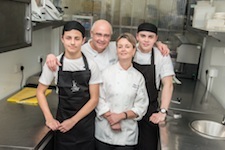 He describes how his family life and work life have grown together, as his children gravitate towards the professional kitchen, keeping him on his toes all the while! Alistair shares details and images of the hard work underway on his croft, getting ready for another busy holiday season, looking after the animals and working on the land to improve drainage, make renovations and the annual general maintenance that the buildings need, all which have required careful attention and repair after a long, damp, cold winter. 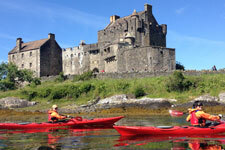 Alison has been out on the water around Skye’s beautiful and often hard to reach coastline, enjoying the island from her kayak with friends and clients. 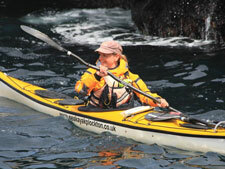 She shares her thoughts about why kayaking is such a great mode of travel, how it can both a challenge and a delight and she describes some of the unique experiences available with a paddle and a brave heart. Susie reviews two live concerts she was lucky enough to go to recently in the south end of the island. Both very different in character and content, one jazz and the other Irish Traditional folk but both great examples of the live music experience that Skye has to offer visitors and residents all through the year. As the winter recedes and spring comes around, the Scottish adventure sector shifts its focus from winter skills and ice climbing to rock and coastal activities. 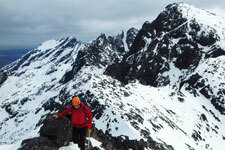 Matt is gearing up for another busy season on Skye, preparing himself and the business for the intensity of spring and summer in the Cuillin. His blog describes the diversity in his job and the kind of preparation required to make sure it all goes smoothly! Sharing images of Skye’s natural winter beauty, Susie’s blog features an account of a writing and photography project begun in the depth of winter as an antidote to the short days and low light. As the rest of the country grinds to a standstill under snow drifts and freezing rain, these images reflect the coming of Spring after the icy blast. From her New Years Day Dip to the intense experience with Highland Young Musicians and the upcoming instructor training with Skye Sailing Club or the pain of Dechox, 2018 is proving to be all in a good cause for High School student blogger Chloe. 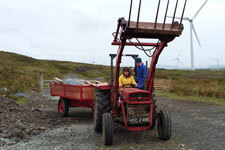 The Skye Life Blog features people who live and work on Skye. Each writer posts about their life, work and experiences. 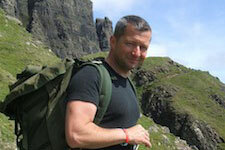 Writers have been selected as they work in the tourism industry or meet and work with visitors to Skye. Follow their regular posts to get an insight into Life on Skye.